Protective parents be trippin’ yo. A passionate man, who goes by the name “Peacemaster”, is rife with angst towards the Candy Kingdom. This fury is driven by the belief that there is dark magic and secrets afoot. 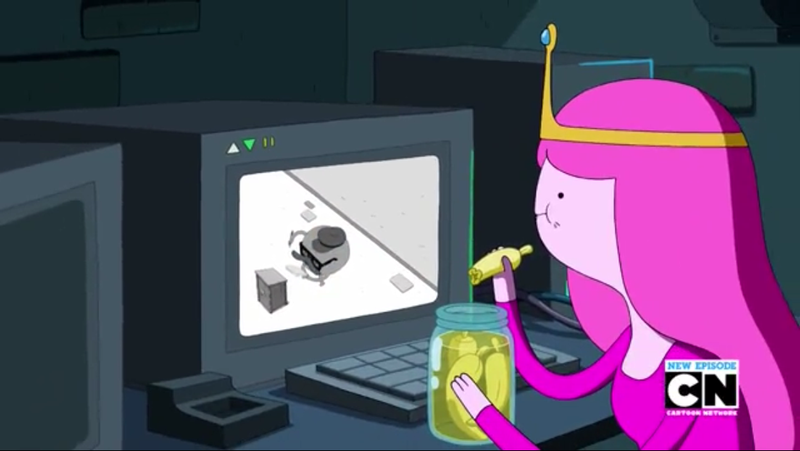 He knows that PB spies on her citizens, and he knows that someone in her castle is an evil-doer. Will he succeed in unveiling the true face of the kingdom of candy? 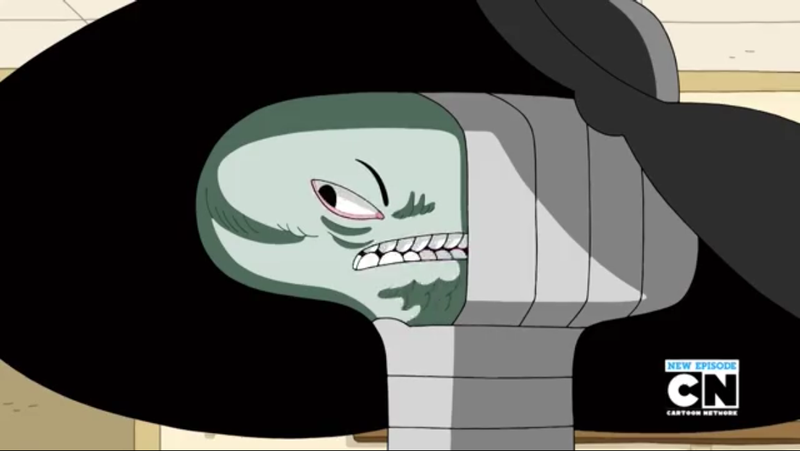 Or will Peppermint Butler take it upon himself to silence the issue? • There’s Bubblegum and her candy citizens who follow her to no end. PB will do anything for the greater good, whether that be leaving someone to die so that others will survive, or kidnapping someone and running dangerous experiments on said someone to receive information that could prevent possible catastrophes in the future. People often say that Bubblegum is kind of “morally grey”; she does seemingly evil things for good, kind of. But no matter what, you rarely ever hear anyone call her out on it. Finn and Jake have shown concern before, but I assure you that Finn (I don’t know about Jake) would never turn his back on PB unless things got really donked up. And yes, she has a wacked out, kinda evil sociopath as a butler. Cute as he may be, he could be extremely dangerous were he to attack the Candy Kingdom. • There’s Peacemaster, a guy who wants, well, peace; a world rid of evil, dark arts, and anything that could possibly influence his three kids in a bad way. Yup, he’s a family guy. Too bad these kids could care less about their father’s concern, and would honestly love to take part in some good ol’ dark arts. It’s kinda sad, really. I mean, sure, you could say that Peacemaster is kind of being a buttwad by shielding his kids so much, but to me it just means he cares. In fact, Pep But turning his kids into monsters really pissed me off. So who do I side with? Well, in this case, I’m gonna go with Peacemaster. It is true that PB oversteps boundaries on a far too regular basis, and honestly, I just can’t help but feel sorry for the guy. So what did I think of the episode? I think it’s great! 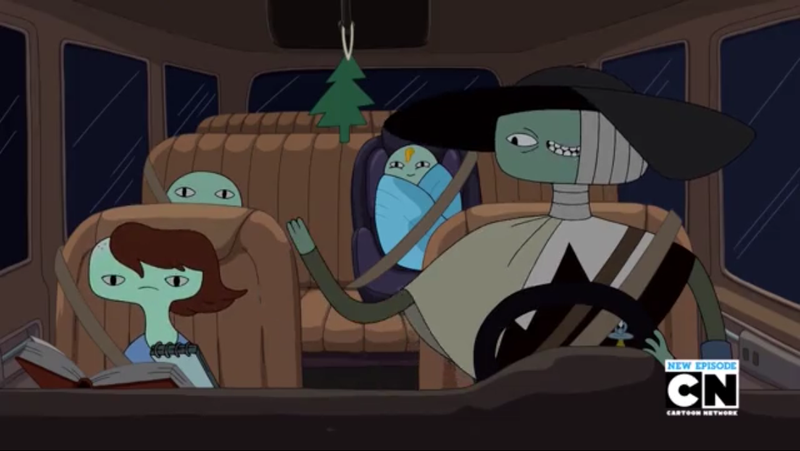 I was kinda becoming displeased with the lack of solid Adventure Time episodes as of late, and it felt good to see one that I actually wanted to talk about. So what did you think of the episode? Did you shake a righteous fist of anger? Or perhaps sat back and enjoyed the episode with a bit of camomile tea? Let me know!